My friend Danielle is über talented and great about sharing her creative ideas. She posted this on her blog, showing you how to make her version of the $35 J. Crew tee for a lot less. Love it. I was a few posts behind on your blog. Looks like you have been busy. Tony is extremely jealous of Ryan, what an amazing experience. 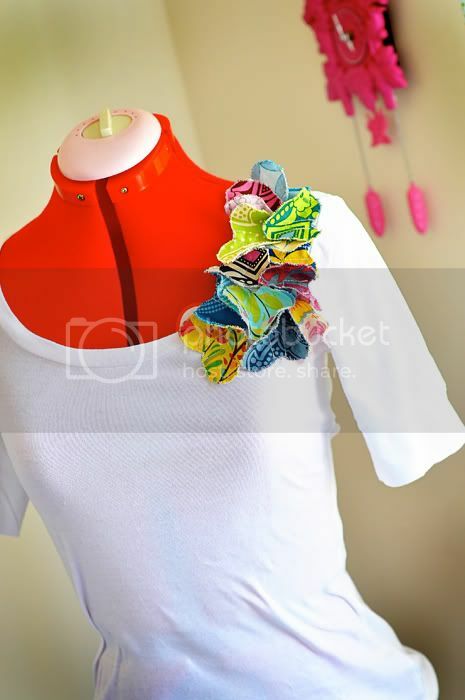 I love the corsage shirt, I wish I was that crafty. Great job on the spudman, you are quite the runner, sorry about your toe. I read your friends blog and cried my eyes out reading about her little girl...how sad. Ella is adorable as usual.